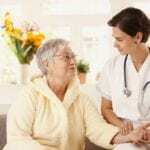 With more elderly people needing round-the-clock care for chronic illnesses and disabilities, nursing homes, long-term care facilities, and assisted living facilities are looking to expand their workforce. Certified nursing assistants provide direct care to residents and assist them with bathing, dressing, eating, and mobility. 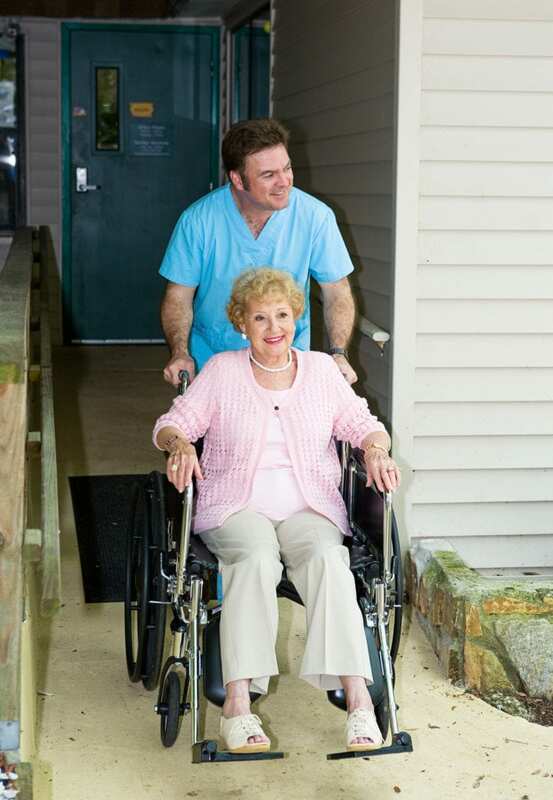 CNAs provide more than 80 percent of the care in long-term care settings and develop close relationships with their charges. The role of a CNA is varied and complex, yet they are often undervalued and underestimated. Apart from personal care, nursing assistants assist with ambulation and range of motion exercises, measure fluid intake and output, measure and chart vital signs, assist with bladder and bowel care, use life-saving measures when needed, prepare meals, deliver supplies and specimens, and provide emotional support to patients and their families. Nursing Assistants must complete state-approved training that is designed to prepare students for success on the state certification exam. Those who successfully complete the training and pass the exam will be added to the Nurse Aid Registry to practice as a Certified Nursing Assistant. The nursing assistant program at Health Professionals Institute offers value for money. Students enrolled in the program will not only receive nurse aide training but also CPR/First Aid/AED, Mental Health, Dementia Specialty course, HIV/AIDS training (7 hours), and Safety Orientation. The curriculum includes classroom lectures, practical learning opportunities in a clinical lab, and a supervised clinical experience in a skilled nursing facility. Students can complete the training in just 3 to 4 weeks depending on the schedule. Areas of study include body mechanics, the role and responsibilities of a nurse aide, infection control, vital signs, observation and reporting, hospice care, Alzheimer’s care, restorative techniques, and mental health. Candidates must complete a criminal background check and 2-step TB test. Tuition for the training and additional certifications cost $775. Students must purchase a gait belt and royal blue uniform. Job placement assistance is available for al graduates. First Choice CNA Program facilitates a nursing assistant program that is approved by the Department of Health and regulated by the Work Force Board. Students who complete all the requirements of the program will be able to perform basic clinical tasks and follow directions, provide basic nursing skills under the direction of a registered nurse or licensed practical nurse, monitor patients and report any adverse changes, understand medical terms and abbreviations, assist patients with personal care tasks, respect patient confidentiality, and apply safety principles in practice. First Choice offers affordable tuition, experienced instructors, make-up time for excused absentees, small groups for personalized instruction, and a modern labs for development of clinical skills. Successful completion requires no tardiness and absenteeism, a minimum of 80 percent on all written and oral tests, and a passing score on the state competency test. Applicants must have a high school diploma or GED, pass an admission’s test, be able to lift at least 50 lbs, have good oral and written English, present a negative TB test or chest x-ray, and complete a Washington State background report. Registration costs $50.00. The objective of the CNA program at Divine CNA Training is to prepare students for state certification and entry-level employment in a health care environment. Program graduates will be eligible to take the state certification exam. The curriculum covers 88 hours of instruction in the classroom and clinical site. During the 48 hours in the classroom, students will learn how to promote quality of life, administer basic personal care, understand safe alternatives to restraints, use proper body mechanics, understand and use medical terms and abbreviations, maintain patient confidentiality, recognize signs of abuse, demonstrate infection control practices, and assist client in the home or long-term care environment. First Aid and CPR, HIV/AIDS training, pre and post-operative care, pain management, personal care skills, feeding techniques and the promotion of good dietary practices, communication and death and dying are examples of other topics emphasized in the program. Divine CNA facilitates morning and evening classes. Day classes meet Monday through Thursday from 8:00 am to 2:30 pm for the first two weeks and Monday through Friday from 6:00 am to 2:30 pm at the clinical site for the final week. Evening classes meet Monday through Thursday from 4:00 to 10:30 pm for the first two weeks and Monday through Friday from 2:00 pm to 10:30 pm for the third wee. A weekend schedule is also available. A background check and TB test are required for participation in the clinical experience. Tuition costs $500. Additional costs for a gait belt, navy blue scrubs, closed-toe shoes, and 2-step testing are the student’s responsibility.